The World Cities Culture Forum has published a report 'Making Space for Culture' - a Handbook for City Leaders. It looks at the challenges faced by 12 cities worldwide in how they are working to preserve or expand their arts and cultural scene. In depth case studies from Sydney, Warsaw, Hong Kong, Madrid, Tokyo, Vienna, Shenzhen, London and Seoul are included in the study. How can cities continue to grow and attract investment while preserving their cultural infrastructure – and the vibrancy and diversity that make them unique? The new ‘Making Space for Culture’ handbook for City Leaders explores how world cities across the globe are answering this question, from San Francisco to Shenzhen. Though culture is a key contributor to economic prosperity, the rising property prices and increasing social and economic inequality caused by rapid urban growth can threaten cultural life and cause new issues for makers of cultural policy. This is an extreme challenge for world cities in particular, because of the sheer volume of capital that pours into them and the unprecedented speed at which development takes place. For example, in London, one of the few cities to track the issue, 35% of grassroots music venues have been lost over the past 8 years and 30% of artist studios are likely to be lost over the next 5 years. There’s a stock image of the urban cultural ideal: bustling streets filled with colorfully painted walls, galleries with their doors wide open, live music bubbling out from local venues. This is the kind of environment, with economic as well as artistic benefits, that city governments around the world are looking to foster. But such vibrant cultural communities of artists, musicians, filmmakers, designers, and other creatives can attract well-off newcomers, who in turn drive rising rents and the cost of living. This cycle can displace the very local artists who created the scene to begin with and push out longtime residents. To combat this pattern, dubbed by researchers as the “The SoHo Effect,” the World Cities Culture Forum commissioned a report examining the challenges faced by 12 cities, from San Francisco to Shenzhen to Sydney, and how they are working to preserve or expand their arts and cultural scenes. The report created a toolkit that emphasizes collaboration between city authorities, the private sector, and artists in ways that allow cities to maintain and grow their culture sectors. 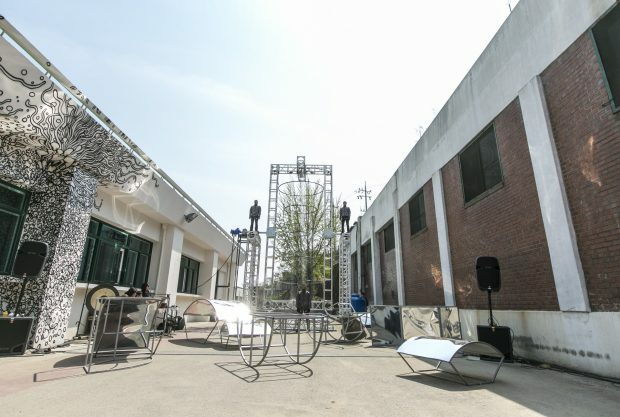 Image: Seoul Street Art Creation Centre. Photo courtesy of Seoul Foundation for Arts and Culture. Seoul's architectural heritage - going, going, gone?